A must have for all Bullseye fans! 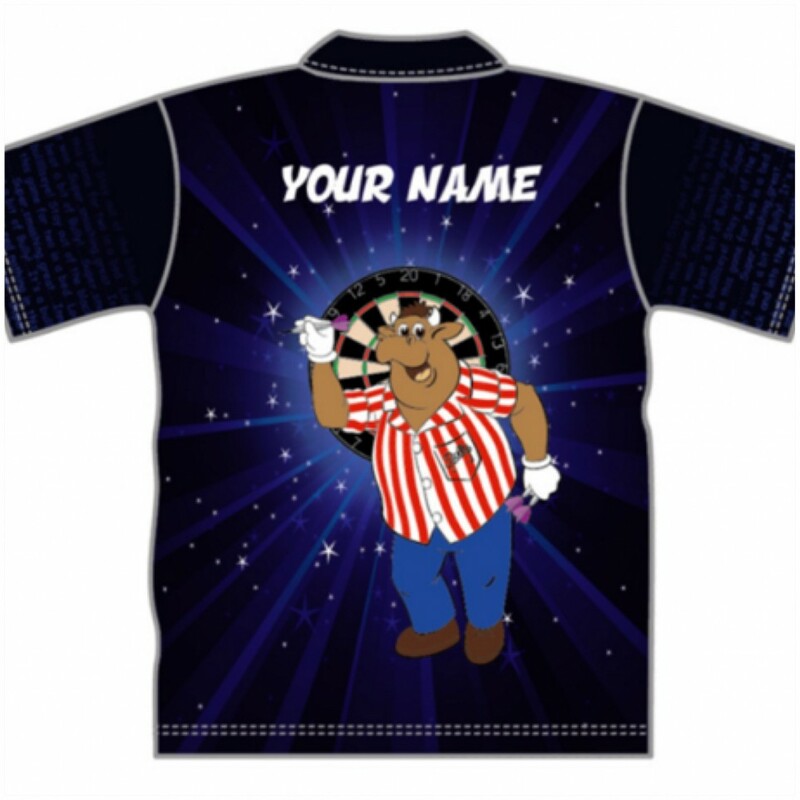 Our new personalised Bullseye dart shirt. Have your name printed on the back of this super, smashing, great shirt. 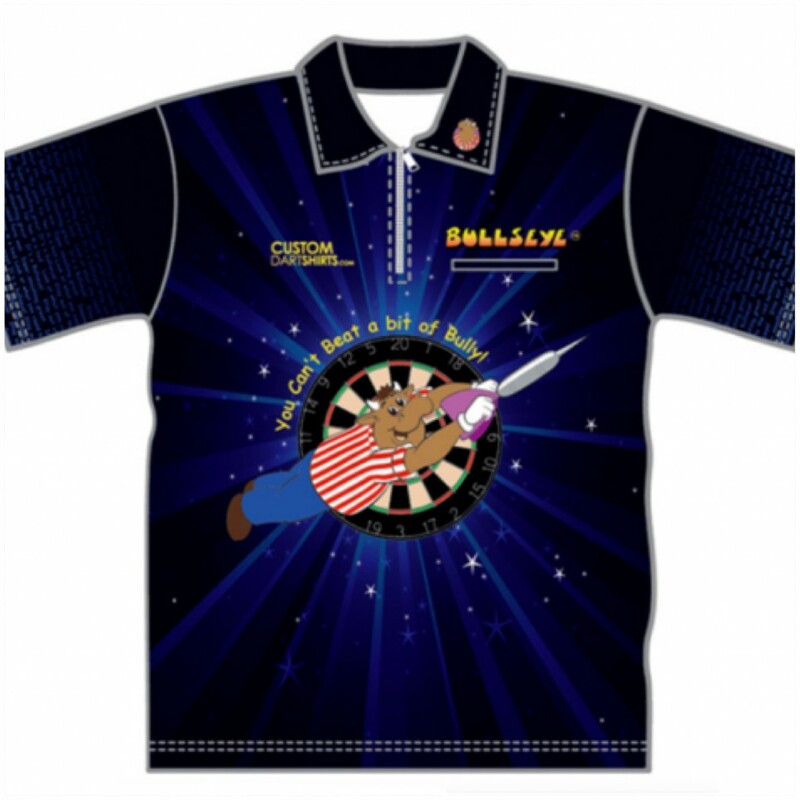 The perfect uniform for any dart team we think. Available now through through the Official website of Phil ‘The Power’ Taylor. You have the time it takes for the board to revolve to purchase our new super, smashing, great Bullseye Quiz Book complete with mini dartboard and three magnetic darts. Available through the Igloo Books website. 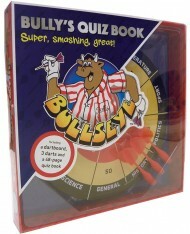 Would make the perfect stocking filler for any Bullseye fan! This super, smashing, great range of Bullseye mobile phone covers are available for both iPhone and Android devices. Available through Armadillo Cases and Amazon. Our Mascot Bully now has his very own Face Mask. 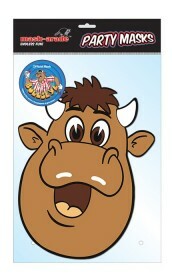 The New Bullseye iPhone App has now officially launched! We think it is super, smashing, great! 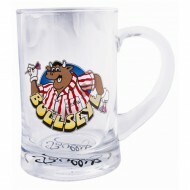 This unique ceramic tankard mug is perfect for all Bully fans! 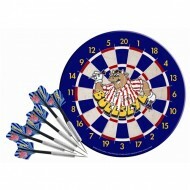 Bully’s special ‘Super, Smashing, Great!’ brass darts are perfect for all pub sport fans! Each one is printed with Jim’s legendary catchphrase. Supplied in leather look carry case. 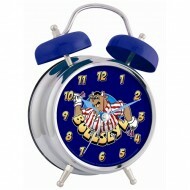 Wake up with a smile on your face, as this retro-style alarm clock plays the Bullseye theme tune! This tradional twin bell alarm clock is the perfect gift for Bully fans. This high quality, reversible, dartboard features traditional playing board with slim-wires, maximising the playing area and a training board. Loop fixing for quick & easy hanging. 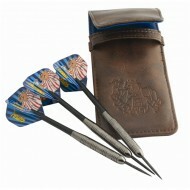 Also includes two sets of Bully’s special ‘Super, Smashing, Great!’ steel darts! 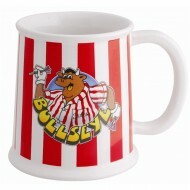 If you weren’t lucky enough to win one on the show, here’s your chance to get your very own Bully Tankard!